Larus cachinnans hybrid? 2CY 47P1 May 17 2007, Łubna landfill, Poland. Picture: Ruud Altenburg. Green 47P1. 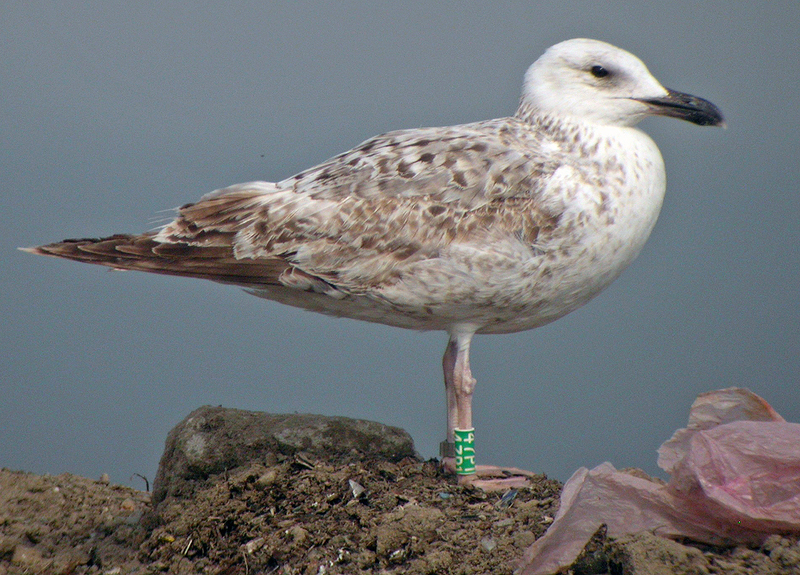 Ringed as a pullus on May 18 2006 in the mixed colony of Wisla reservoir - Wloclawek, Poland (52°39'N, 19°08'E). 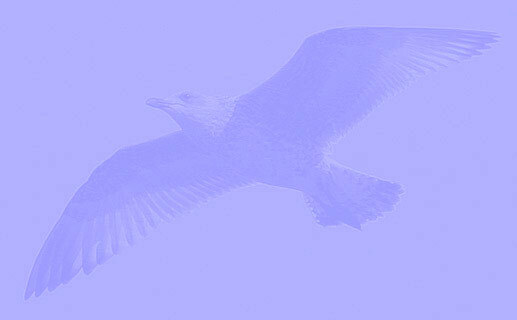 This bird is probable hybrid Caspian Gull L cachinnans x Herring Gull L argentatus, but parentage not known. Pictures show an intermediate bird between the two. Plumage indicates Herring Gull L argentatus-roots, with much notching on tertials and wing-coverts. Note also the bold pattern on 2nd gen scapulars and angular head shape. In the field, it also showed traits of Caspian Gull, especially structure,with long exposed tibia, long winged appearance and weak gonydeal angle. Probably most important are the old, but still recognisable 2nd gen wing-coverts in the LC region. 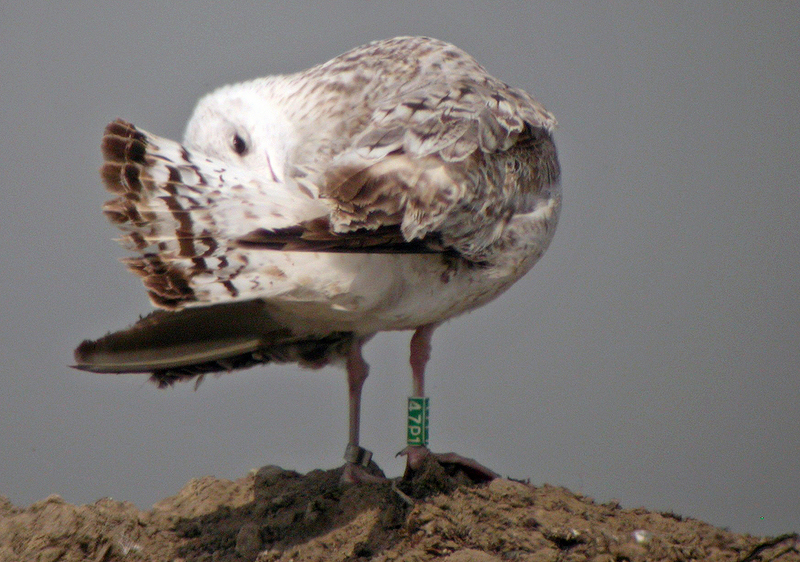 Bird ringed as pullus at Włocławek, known for its mixed breeding population (pulli registered as "Larus argentatus-complex"). Note the tail pattern, which seems closest to Greater Black-backed Gull L marinus!